This page diplays all of the products we manufacture. To view these products by category just select that category below. For more information click on the product's name. 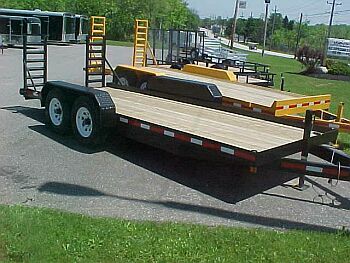 ALL STEEL TUBE CONSTRUCTION, FEATURING A TREATED LUMBER DECK, WRAP AROUND TONGUE, 3500 POUND GVW AXLE, HEAVY DUTY HINGES WITH A GREASE BUDDY ON THEM, NO PINS TO LOSE ANYWHERE ON THIS TRAILER, AND MUCH MUCH MORE! 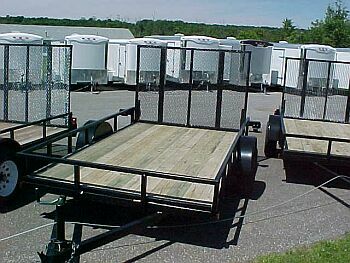 5X10 ALL STEEL TUBE UTILITY TRAILER FEATURING A TREATED LUMBER DECK, WRAP AROUND TONGUE, HEAVY DUTY HINGES WITH A GREASE BUDDY ON THEM, NO PINS TO LOSE, AND MUCH MUCH MORE! 6X10 ALL STEEL TUBE CONSTRUCTION, TREATED LUMBER DECKING, TRADITIONAL STYLE LIGHTS, HEAVY DUTY HINGES WITH GREASE BUDDIES, WRAP AROUND TONGUE AND MUCH MUCH MORE! 6X10 ALL STEEL TUBE UTILITY TRAILER, FEATURING TREATED LUMBER DECKING, WRAP AROUND TONGUE, HEAVY DUTY HINGES, OUR SPECIAL LIGHT PACKAGE, AND MUCH MUCH MORE! 5X14 ALL STEEL TUBE TRAILER FEATURING A TREATED LUMBER DECK, HEAVY DUTY HINGES WITH A GREASE BUDDY, A WRAP AROUND TONGUE, AND OUR SPECIALTY LIGHT PACKAGE. 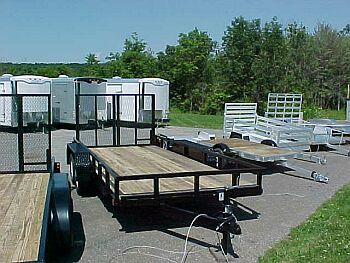 18'X82" EQUIPMENT HAULER, ADJUSTABLE HITCH, DROP AXLES, EZ GREASE AXLES, AND MUCH MUCH MORE! 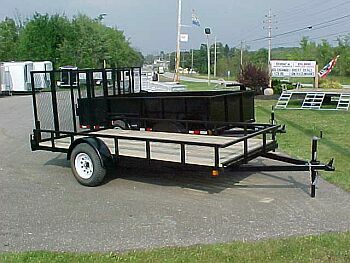 6X12 ALL STEEL TUBE CONSTRUCTED LANDSCAPE TRAILER FEATURING A WRAP AROUND TONGUE, 14" TIRES, TREATED LUMBER DECKING, HEAVY DUTY HINGES, NO PINS TO LOSE, AND MUCH MUCH MORE! 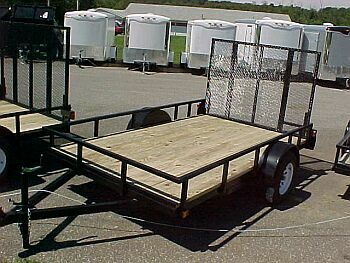 6X8 ALL STEEL TUBE UTILITY TRAILER FEATURING A TREATED LUMBER DECK, WRAP AROUND TONGUE, HEAVY DUTY HINGES WITH A GREASE BUDDY ON THEM, NO PINS TO LOSE, AND MUCH MUCH MORE! 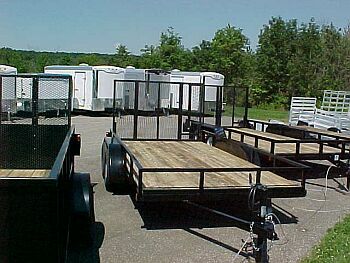 5X12 ALL STEEL TUBE UTILITY TRAILER FEATURING A TREATED LUMBER DECK, WRAP AROUND TONGUE, HEAVY DUTY HINGES WITH A GREASE BUDDY ON THEM, NO PINS TO LOSE, AND MUCH MUCH MORE! 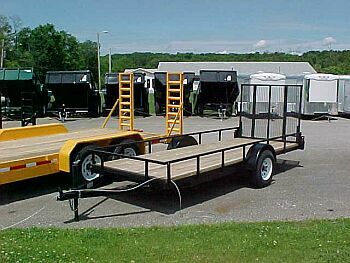 5X14 ALL STEEL TUBE UTILITY TRAILER FEATURING A TREATED LUMBER DECK, WRAP AROUND TONGUE, HEAVY DUTY HINGES WITH A GREASE BUDDY ON THEM, NO PINS TO LOSE, AND MUCH MUCH MORE! 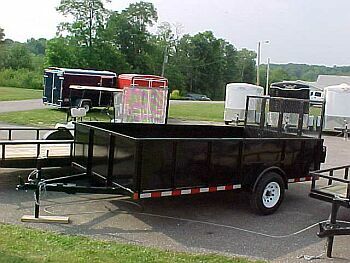 6X12 ALL STEEL TUBE UTILITY TRAILER FEATURING A TREATED LUMBER DECK, WRAP AROUND TONGUE, HEAVY DUTY HINGES WITH A GREASE BUDDY ON THEM, NO PINS TO LOSE, AND MUCH MUCH MORE! 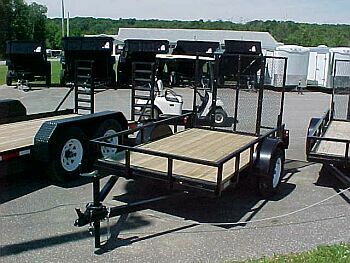 6X14 ALL STEEL TUBE UTILITY TRAILER FEATURING A TREATED LUMBER DECK, WRAP AROUND TONGUE, HEAVY DUTY HINGES WITH A GREASE BUDDY ON THEM, NO PINS TO LOSE, AND MUCH MUCH MORE! 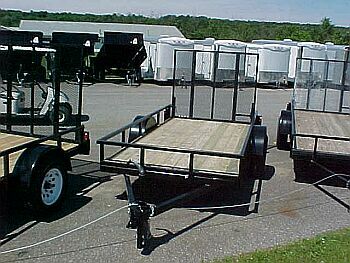 6X16 ALL STEEL TUBE UTILITY TRAILER FEATURING A TREATED LUMBER DECK, WRAP AROUND TONGUE, HEAVY DUTY HINGES WITH A GREASE BUDDY ON THEM, NO PINS TO LOSE, ANE MUCH MUCH MORE! 6'4"X12 ALL STEEL TUBE UTILITY TRAILER FEATURING A TREATED LUMBER DECK, WRAP AROUND TONGUE, HEAVY DUTY HINGES WITH A GREASE BUDDY ON THEM, NO PINS TO LOSE, AND MUCH MUCH MORE! 6'4"X14 ALL STEEL TUBE UTILITY TRAILER FEATURING A TREATED LUMBER DECK, WRAP AROUND TONGUE, HEAVY DUTY HINGES WITH A GREASE BUDDY ON THEM, NO PINS TO LOSE, AND MUCH MUCH MORE! 6'4"X16 ALL STEEL TUBE UTILITY TRAILER FEATURING A TREATED LUMBER DECK, WRAP AROUND TONGUE, HEAVY DUTY HINGES WITH A GREASE BUDDY ON THEM, NO PINS TO LOSE, AND MUCH MUCH MORE! 6'4"X18 ALL STEEL TUBE CAR HAULER FEATURING A TREATED LUMBER DECK, WRAP AROUND TONGUE, HEAVY DUTY HINGES WITH A GREASE BUDDY ON THEM, NO PINS TO LOSE, AND MUCH MUCH MORE!